This book is awesome. Not only does it go into detail about the 59 National Parks in the United States, but also National Monuments, Battlefields, Historic Sites, Scenic Trails, Recreation Areas, and Seashores. The book gives a quick overview of the history of the area, things to do, and when to visit. 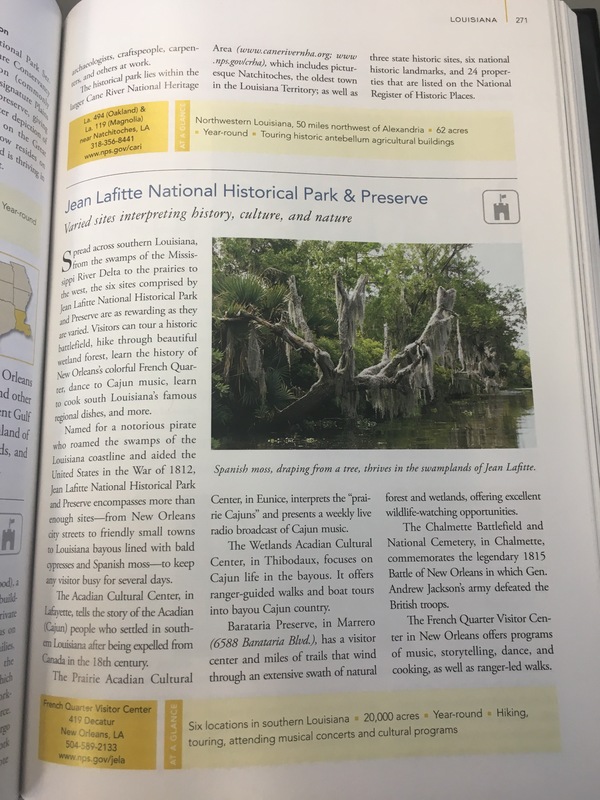 This book added a bunch more items to my Bucket List, including the Jean Lafitte National Historical Park and Preserve. I highly recommend the book Complete National Parks of the United States to anyone planning a road-trip or wanting to learn more about our public lands.